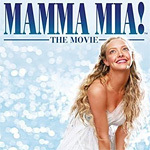 Based on the stage play, and featuring the music of ABBA, Mamma Mia!aims low and hits its mark. Sophie (Amanda Seyfried) is getting married, and there’s one person she’d really like to attend: her father. Having been raised by her mother Donna (Meryl Streep) on an island in Greece, she doesn’t know who her father is. She snoops in her mom’s diary and discovers three lovers from the summer before she was born. ( Mamma Mia!gleefully discards temporal logic, making one of them an ’80s headbanger, another a ’70s free spirit, and one a Beatles-esque mod boy.) Sophie writes a letter to each of them, inviting them to the island, and signing her mother’s name. She assumes, incorrectly, that she’ll be able to identify which is her dad, just by looking at him. Mother, meanwhile, invites her two best friends to join her for the wedding. All three happen to be single and carefree. When Sophie’s three dads arrive, Donna doesn’t know why they came. (Sophie has begged them to keep the letters a secret until she can figure out who’s who.) Their unexpected appearance is distressing to Donna, dredging up old memories she thought were behind her. The film has many tangents but centers on Donna trying to understand her feelings for these three men, 20 years later. Former lovers keeping secrets? Three single men and three single women on a Mediterranean island? An imminent wedding? Mamma Mia!has all the ingredients for a musical romantic comedy. It is insubstantial as a Mediterranean breeze, and almost as refreshing. The scenery is more memorable than anything else, except perhaps for the estrogen-rich emotional rollercoaster. The plot is more interesting than it strictly needs to be. I also appreciated that there was an unpredictable outcome among the three pairs of men and women. But the movie never takes itself very seriously. It seems not to care whether it has any substance or not. It seems only interested in the romance and the emotion. It’s almost as though it would rather be shallow and simplistic than rich and complex. I can’t recommend it in good conscience, but if you think Mamma Mia!sounds like fun and you don’t like movies that are too serious, then perhaps this is just the movie for you. Those of us who like a little more substance probably already know to look elsewhere. There is a full disc of extra features, none of which I could bring myself to look at. On the extras disc are featurettes about the making of the movie, the locations in Greece, and a behind-the-scenes bit with Amanda Seyfried. There are also some musical extra features: “Anatomy of a Musical Number” and “Becoming a Singer,” along with a few others. Disc one allows you to play a sing-along version of the movie. The subtitles are low-resolution and very clunky on my system, but they’re readable enough for you to get your ABBA on. I also looked at the Deleted Musical Number: The Name of the Game. It was rightfully cut. Seyfried (as Sophie) has a childlike voice, and she sings with a fast vibrato. It’s a style I don’t like, but she does it well. The scene, however, is completely dead. It’s a scene of Stellan Skarsgard standing there getting sung at by Sophie. It would have stopped the movie dead in its tracks had it been included. There is some noticeable post-production correction in an early scene — a lightening of shadows that were probably too deep. It looks bad on video but was probably okay on film. There is a neat surround sound effect at voulez-vous as the camera spins around some dancers. If you’re like me, you’ll want to skip it entirely, not because it’s a chick flick, but because it shuns any ambition at being more than fluff. This movie has its fans, though, and if I were one, I’d recommend inviting as many friends over as you can and playing the movie with the sing-along subtitles. Raise your voice in song and enjoy the romantic rollercoaster.